Organ transplantation is life-transforming and life-saving for hundreds of thousands of patients worldwide. The results are generally good but transplants can fail. 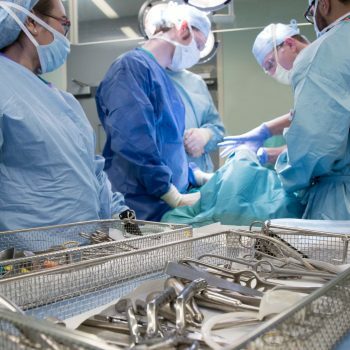 More than 7,000 patients in the UK are currently waiting for an organ transplant, while every year 1,300 patients die or are removed from the waiting list. This theme aims to address two major challenges in transplantation: the shortage of donor organs and graft rejection (when the immune system rejects the transplanted organ). We will help to meet the first challenge by improving transplant success, by identifying features or markers in patients that can accurately predict whether an organ will last well once in the patient. 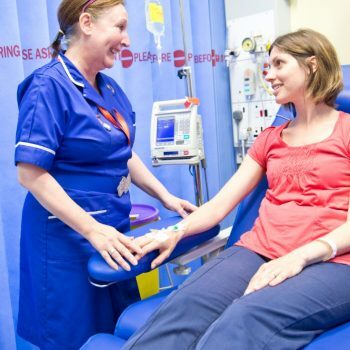 By increasing our understanding of what is involved when organs are rejected by the immune system (the body’s defence system), we aim to reduce the number of graft rejections; we are also running clinical trials of new therapies that can combat rejection. Not every patient needs a solid organ transplant; it is now possible to repair damaged organs and tissues by transferring healthy stem cells (the building blocks of all organs) into a patient. We are exploring the opportunities provided by stem cell science for generating unlimited quantities of cells for transplantation. Stem cells are basically immature cells that do not have the characteristics of a specific organ. By transferring stem cells into an organ, it may be possible to repair damage. However, it is still a long way off before patients could benefit from these cell-based therapies. This theme is based in the internationally-renowned Cambridge Transplant Centre where life-changing transplants are performed every week.